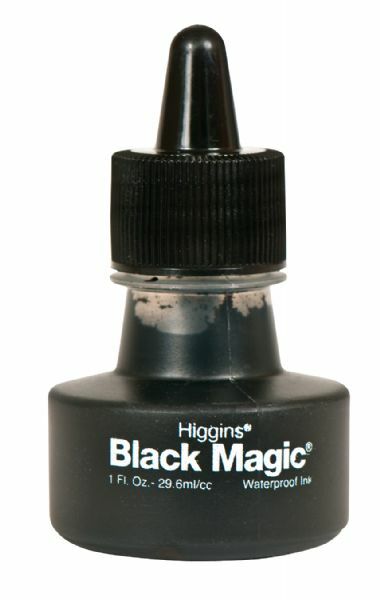 Intense super opaque semi-flat black ink for technical pen lettering pen brush or airbrush. Use on paper board polyester drafting film vellum prepared acetate and automatic drafting machines. Reproduces with even line tone and contrast. Won?t peel chip or crack. 1 oz. bottle.